You know you’re a true scumbag when you raise a bloodthirsty killer for a son and then blame others for not having done enough to stop him from murdering dozens of innocent people. That is precisely what Orlando terrorist Omar Mateen’s lunatic father has done. 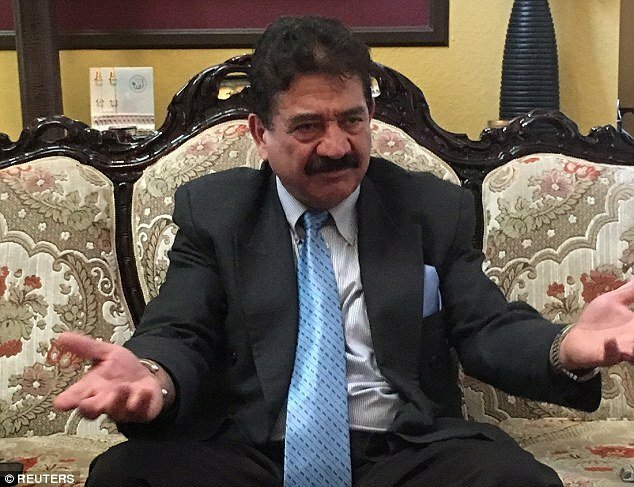 Seddique Mateen does not blame his son for the terrorist attack; instead, he blames security for not doing enough to stop the well-armed madman. The father of Omar Mateen has blamed security staff at Pulse nightclub for not preventing the murder of 49 innocent people. Seddique Mateen said religion had nothing to do with the massacre and that he wished his son was alive so he could ask him why he did it. His son, Omar, a 29-year-old bodybuilder of Afghan origin, shot down clubbers and injured dozens at the Orlando club on Sunday morning. Mr Mateen told Sky News: ‘The first thing I want to say is that the club should have had good security. The club (with) 300 or 400 people are coming, they should have had a good security. His son, who had pledged his allegiance to ISIS on the phone to police, was killed by SWAT officers when he opened fire after crawling out of a hole made to rescue clubbers. Asked why he thought his son had gay dating apps like Grindr and Jack’d on his mobile phone, Mr Mateen said he wished his son was alive so he could ask. ‘I don’t know what he was doing and I wish I did know. I don’t know why he was using that, to get there and do something. I wish he was alive so I could ask him,’ said Mr Mateen. He added the attack had ‘nothing to do with religion’. A message posted by Seddique Mateen on Facebook early Monday morning made clear his own views on homosexuality. In the video the elder Mateen says he was saddened by his son’s actions during the Muslim holy month of Ramadan. He then added: ‘God will punish those involved in homosexuality’, saying it’s, ‘not an issue that humans should deal with’. The father has his own TV show which is broadcast to Afghanistan from the U.S. The White House and the FBI said the gunman, an American-born Muslim, appeared to be a ‘homegrown extremist’ who had touted support not just for ISIS but other radical groups that are its enemies. The FBI confirmed that Mateen had come to its attention twice before the attack and had been investigated for 10 months from May 2013 because he had made ‘inflammatory and contradictory’ statements about ties to terrorist groups. Agents closed the first investigation in early 2014, but Mateen’s name came up in a separate FBI investigation in July that year, after he was linked to a Syria suicide bomber. On Monday LGBT communities around the world gathered for vigils to commemorate the victims. It makes perfect sense that the father would blame everybody else for these heinous murders. His son was a monster and he likely does not want that reflecting on him. Just as importantly, he likely wishes to distract from an important discussion concerning the motivation behind the killings. 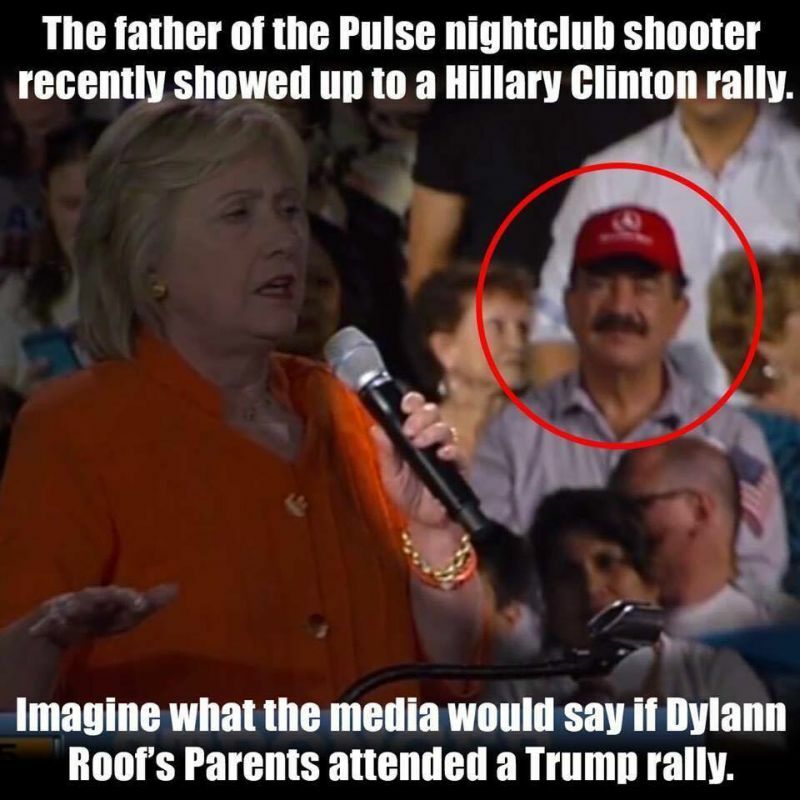 Mateen murdered 49 people in the name of Islam. Until we reconcile ourselves as a society with the true nature of radical Islam, these kinds of attacks will continue.